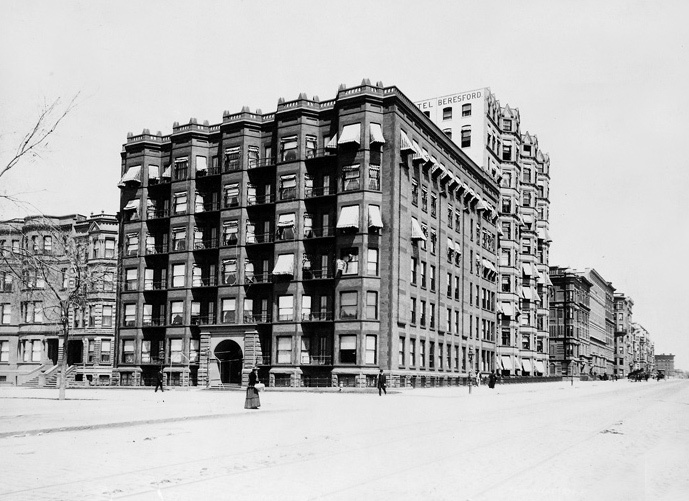 Before the Beresford apartment building was completed in 1929, the block was occupied by The Beresford Hotel built in 1889. 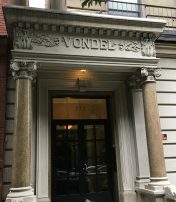 This entry was posted in New York, Old New York In Photos, Photography and tagged 1890s, Beresford, Central Park West on May 8, 2011 by B.P..
My gggreat uncle, Theodore E Thomson was the architect for the The Beresford Hotel and I have his copy of the architectural drawings. 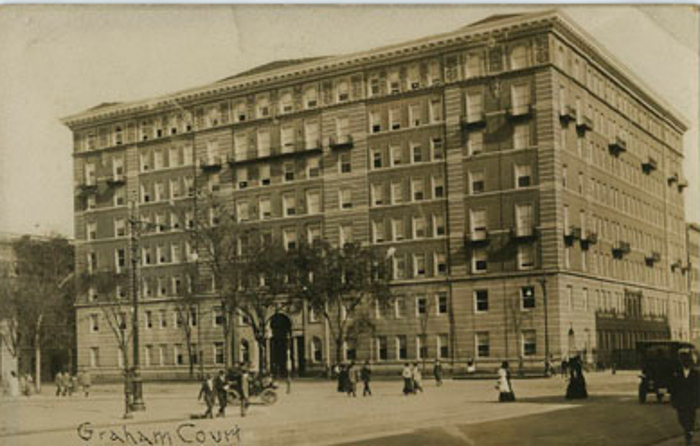 So good to see an outside picture of the building at 1 W 81st Street (according to the 1900 & 1910 censuses). Members of the Thomson family lived there from the beginning until the 1920s. 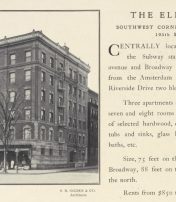 We would love to see & feature those architectural drawings or any other material related to the opening or construction of any New York City building that Mr. Thomson was involved in. Please contact us if you’d be willing to share.